Samaresh Nandy is a senior professional in the corporate field of logistics management. 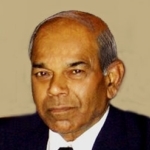 He holds advanced training and practice in administration, planning, coordination of tasks, and implementations of organizational policies in cross cultural contexts.His extensive experience in USA, Canada, UK, France, Switzerland, Egypt, India, Pakistan, and Bangladesh contribute to international collaborations. His linguistic skills in English, French, Hindi, Urdu, and Bengali and interests in German, Italian and Spanish are an asset to Nouveau iDEA. 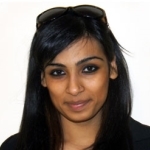 Yashna Jagtianey born in Kuwait and migrated to Canada at the age of 13 is a Corporate Media Production student at Seneca College. Yashna worked as a customer service representative and gained experience in moulding administrative and interpersonal skills.Yashna is passionate about arts, entertainment and culture, and currently is the Events Director for the Indian Cultural Association at York University, where she organizes events like movie-nights, game-nights, formal-academic-events and actively promotes the Indian culture.